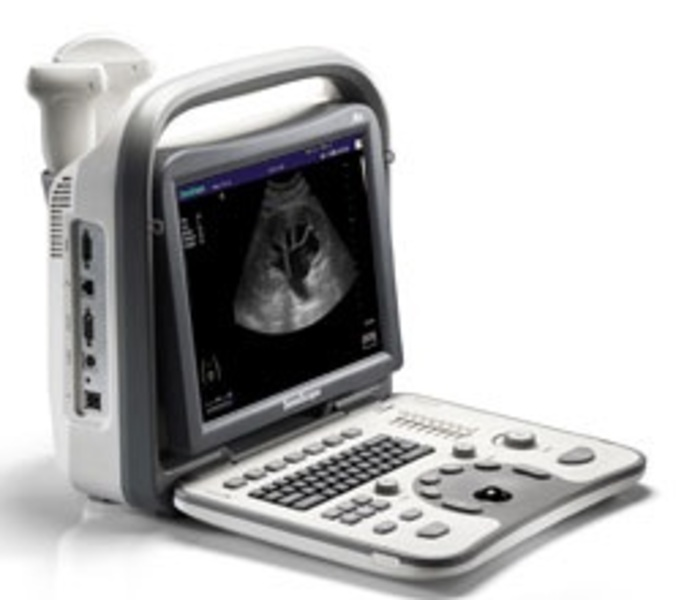 Sonoscape A5 is a full digital black & white real time ultrasound system with a position adjustable 12″ LCD monitor. This simple-to-use unit utilises advanced technology to produce exceptional image quality. Multi-frequency transducers available 2-12MHz. Ideal for use as a real time ultrasound for musculoskeletal applications, with the L746 Linear Transducer. This Sonoscape A5 unit has onboard storage, and USB connectivity. For higher resolution images, we recommend the Sonoscape A6 Ultrasound Unit.